On February 15th 2013, a 20-metre wide near-Earth asteroid entered the atmosphere (undetected) travelling at 19 km/s and exploded in a huge fireball over Russia. The blast detonated with the energy of an atomic bomb, shone brighter than the Sun, injured people and damaged thousands of buildings. This became known as the Chelyabinsk meteor which was the largest recorded meteor explosion in over 100 years and the first to have resulted in injuries. 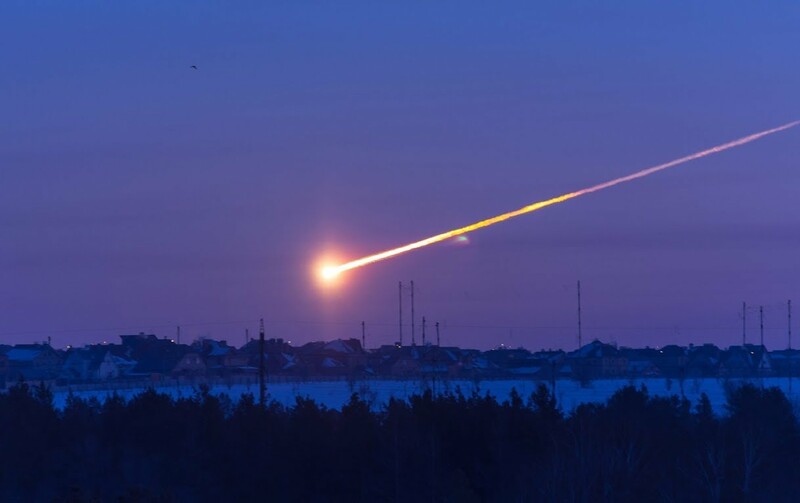 Crazy Cool Facts About The Chelyabinsk Meteor! The Chelyabinsk meteor likely originated from the main Asteroid belt as a member of the Apollo group of near-Earth asteroids. Analysis of the fragments recovered showed that the asteroid was likely a smaller fragment blasted off from a previous collision. The meteoroid was estimated to be 20m in size and have a mass of 10,000 tonnes (more than the Eiffel Tower!). 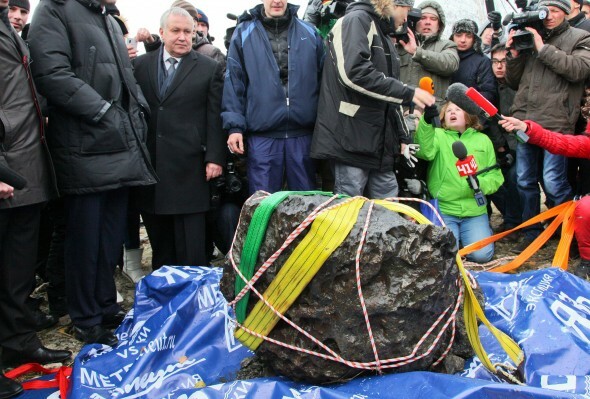 The Chelyabinsk meteor was travelling at 19 km/s (11.8 mi/s) or 68,400 km/h when it exploded – 55 times the speed of sound!! That’s rapid! The brightest point of the explosion (which was 30 times brighter than the Sun) was estimated to be at a height of 29.7 km altitude. The explosion is estimated to be equivalent of roughly 500 kilotonnes of TNT or about 30 times bigger than the nuclear bomb dropped on Hiroshima. The intense blast wave from the exploding Chelyabinsk meteor first reached the ground after 2 minutes and 23 seconds. Infrasound waves from the blast were detected around the globe at listening stations, even in Antarctica! The sounds of the explosion reverberated in the Earth’s atmosphere, travelling around the globe several times, taking a day to dissipate! Wow! Before and after the high altitude explosion, much of the Chelyabinsk meteor burnt up, but some fragments survived and entered what scientist call ‘dark flight’ (where fragments fall without emitting light) falling on the snowy countryside creating a strewn field of Chelyabinsk meteorites. The largest fragment discovered was even caught on video (the first time this has ever been recorded!) falling into a frozen late. 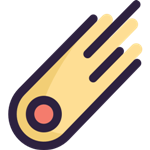 Video analysis revealed the fragment hit the lake with a speed of 810 kilometres per hour – 65% the speed of sound! The fragment was recovered from Lake Chebarkul and weighed 654 kg (1,442 lbs). 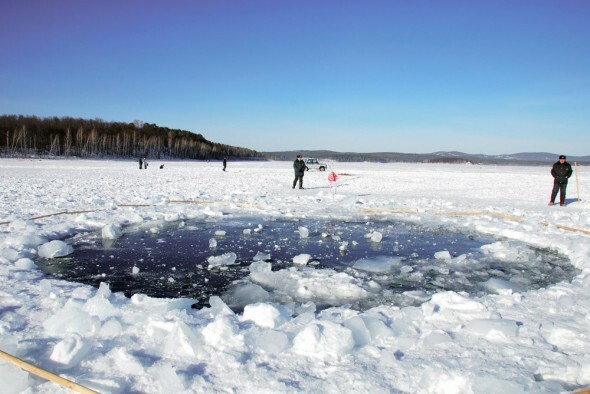 Despite it being estimated that an airburst, at least as large as the one caused by the Chelyabinsk meteor, occurs somewhere around the Earth every 60 years, scientists believe the Chelyabinsk meteor to be the biggest meteoroid to hit Earth since the 1908 Tunguska event. Even though the Tunguska event was believed to be bigger in magnitude and damage, it occurred over an unpopulated area, so the Chelyabinsk meteor is the first meteorite blast to have resulted in a large number of injuries with 1,500 people seeking medical attention and over 7,200 buildings were damaged.